In this week’s edition of the 3D Printing Industry News digest, Sliced, companies such as BigRep, Senvol gear up for the Additive Manufacturing Users Group (AMUG), and Nanofabrica strategically prepares for Hannover Messe. Additional conferences related to additive manufacturing such as MECSPE Parma, in Italy, and Amerimold: The Event for Mold Manufacturing, are presenting the latest 3D printing innovations. Furthermore, the first Formnext + PM South China trade show for the additive manufacturing and powder metallurgy industries has been announced for 2020. Senvol, the industry leader in data for 3D printing, is set to speak on “Using Machine Learning to Intelligently Generate and Analyze Additive Manufacturing Data” at the annual Additive Manufacturing Users Group (AMUG) conference in Chicago next week. 3D Printing Industry will be returning to AMUG as attendees and as media sponsor for 2019. 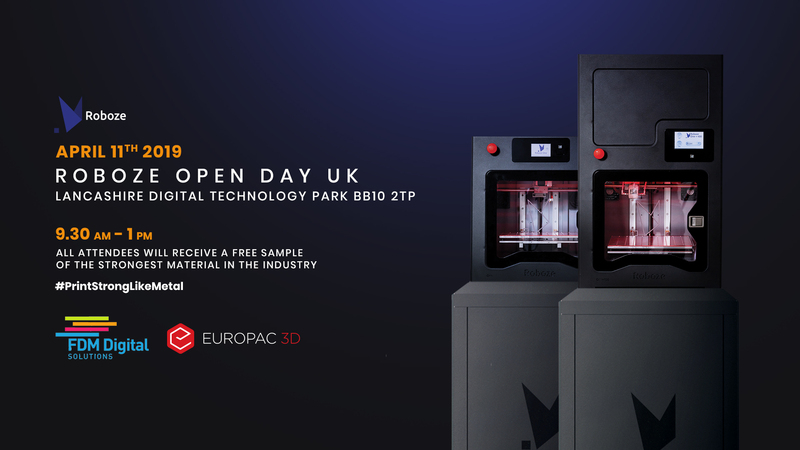 Furthermore, German large-scale 3D printer manufacturer BigRep will be debuting the recently released PRO 3D printer for the first time in North America at AMUG. The BigRep PRO 3D printer. Photo via BigRep. Titomic, an Australian metal additive manufacturing company responsible for the Titomic Kinetic Fusion (TKF) process, has signed a Memorandum of Understanding (MoU) with Osaka Titanium Technologies Co. (OTC) and Marubeni to distribute TKF in Japan and South Korea. OTC is a Japanese non-ferrous metal manufacturing company based in Amagasaki, and Marubeni is a general trading company (sōgō shōsha) based in Tokyo. As the fifth largest sōgō shōsha, this collaboration will allow Titomic to leverage Marubeni’s global customer network to distribute (TKF) systems in the Asian markets. OTC will supply aerospace-grade, gas-atomized titanium powder from in these TKF systems. The 9 x 3 x 1.5 meter Titomic Kinetic Fusion 3D printer. Photo via Titomic. In Europe, Express Group, 3D printing specialists from North Yorkshire, which includes the GoPrint3D division, has been appointed as the UK distributor for Mayku, a London-based startup. HP has announced a milestone stating, “more than 10 million parts have been produced on HP’s Multi Jet Fusion 3D printing technology”. Evolve Additive Solutions, the proprietary developer of new 3D printing technology, Selective Thermoplastic Electrophotographic Process (STEP), will expand operations in Brighton, New York. As such, the Minnesota-based company is creating approximately 60 new jobs in this over the next five years. Barclays, a British multinational investment bank and financial services company, has been appointed by Southampton City Council to manage its new workspace, the Network Eagle Lab, at the Marlands Shopping Centre. With 21 around the UK, the Eagle Labs, have been established to foster entrepreneurial activities through collaboration and training on new technologies such as 3D printing, and AI. Elsewhere, Sigma Labs, the computer-aided inspection (CAI) software company behind PrintRite3D software, has appointed Justin Joiner as the Company’s new Business Development Manager, Americas. Planetary Gears 3D printed using PrintRite3D inspection software. Features the motto “Quality Beyond Inspection” Photo via @Sigmalabsinc on Twitter. Following the release of the micron-level resolution industrial 3D printers, the Workshop System and the Industrial System, Nanofabrica, a Tel Aviv-based developer of precision additive manufacturing technologies, is inviting interested parties to meet with its CEO, Jon Donner, at Hannover Messe, Germany, on April 3rd. All are welcome to contact Donner to arrange a meeting in room 3B at Convention Center C to discuss the company’s technology, and the opportunities that it open for OEMs in the micromanufacturing arena. SCANLAB GmbH, a supplier of laser hardware for additive manufacturing systems, has expanded its range of entry-level scan heads with the basiCube 14. This device is compact and a 14-mm aperture for high-precision marking using small spots. The basiCube scan heads. Photo via SCANLAB GmbH. HeyGears, a Guangzhou-based wearable technology company, recently presented its UltraCraft A2 and UltraCraft D-OS Digital Light Processing (DLP) 3D printers and medical-grade dental resins, at the dental laboratory event in Chicago, LMT LAB DAY. The company is aiming to provide full support for dental labs and clinics with its additive manufacturing systems. Today, WASP, the Italian manufacturer behind DeltaWASP 3D printers, is presenting its systems at MECSPE Parma, in Italy, until March 30th. The company’s new series of industrial 3D printers, including the Industrial Line 4.0 can be found at Pad 6 Booth J18. The 7th edition of the Additive World Conference in Eindhoven, the Netherlands, announced K3D, a 3D printing metal company equipped with the MetalFab1 3D printer, and Obasogie Okpamen from the Landmark University in Nigeria as the winners of the Additive Manufacturing Challenge 2019. 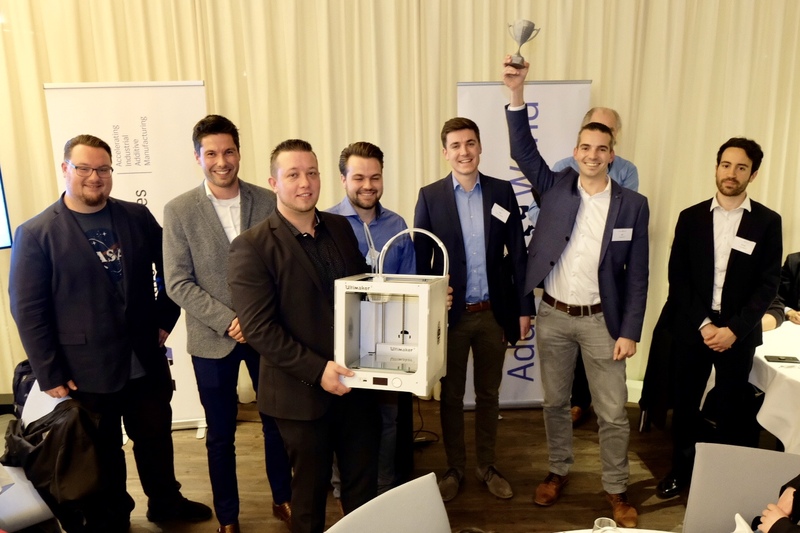 Steven van de Staak, Content Marketing Specialist at Ultimaker, with the winners of 7th edition of the Additive World Conference in Eindhoven, the Netherlands. Photo via Additive Industries. National History Museum of Belarus, has preserved the Krevo Castle ruins with 3D printing technology. With the help of VKL3D, a heritage VR venture, and scientific consultant, Andrei Shulayev, an interactive 3D model of the castle was created using historical, archeological, and archive data. “The replica of Krevo Castle was made on a 1:200 scale. It was created digitally and then 3D printed,” said Alexander Khramoi, Deputy Director of the National History Museum. Elsewhere, Netherlands-based 3DScaleWorks, has 3D printed a replica of the famous Utrecht station building designed by Dutch architect Sybold van Ravesteyn. 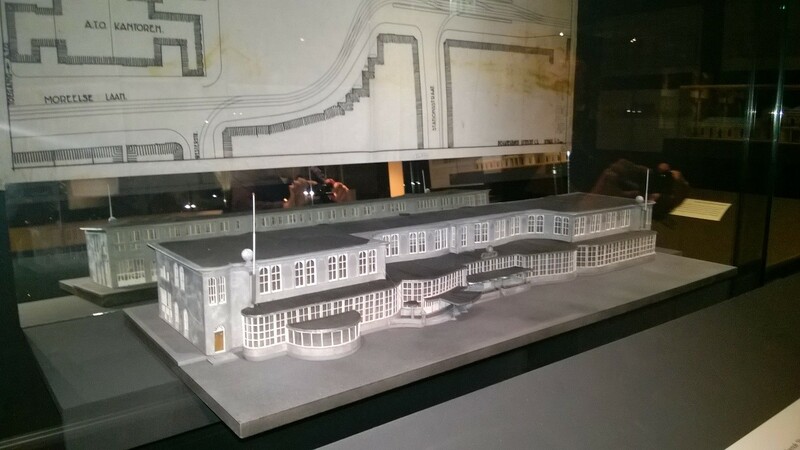 The 3D printed replica of the Utrecht station building. Photo via 3DScaleWorks. 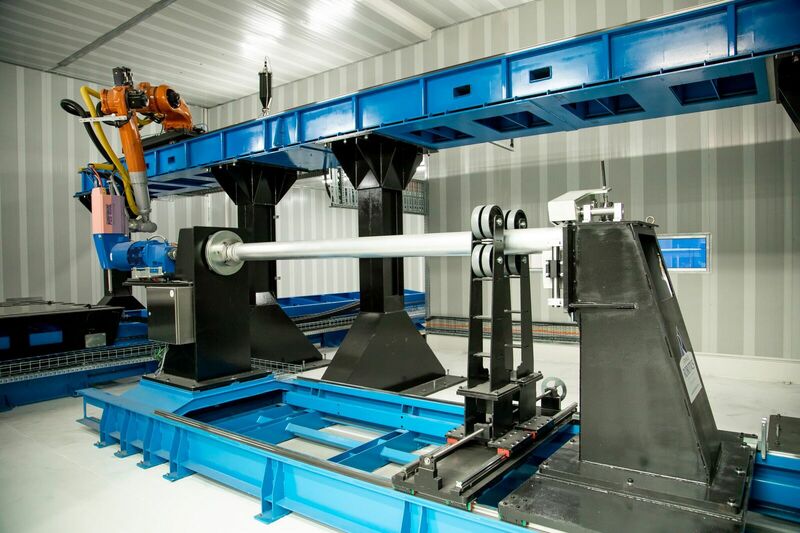 FDM Digital Solutions, a Lancashire-based 3D printing solutions, and Roboze, an Italian 3D printer manufacturer, are collaborating to develop processes for high-grade thermoplastics such as PEEK for aerospace applications in the UK. The poster for the FDM Digital Solutions/Roboze open day. Image via Roboze. Mesago Messe Frankfurt, the organizer of Formnext, has established the first Formnext + PM South China trade show for the additive manufacturing and powder metallurgy industries. This will take place in Shenzhen, China from September 9th – 11th in 2020. “With the expertise from its brand name shows, Formnext in Frankfurt, Germany, and also PM China in Shanghai, the newly formed fair will be one of a kind in South China. The synergy from the two fair brands will facilitate the exchange of ideas between industry professionals and bring a positive impact to the manufacturing sector,” said Hubert Duh, Chairman of Guangzhou Guangya Messe Frankfurt Co. Ltd. Similarly, Amerimold: The Event for Mold Manufacturing, which will take place in Rosemont, Illinois, from June 12th to the 13th, has announced its two new educational workshops taking place at the conference. This includes an inaugural Medical Injection Molding Workshop and the Additive Manufacturing Workshop for Plastics. Arkema, a French chemical and materials company, has established its first U.S. PEKK plant in Mobile County, Alabama. NatureWorks, a bioplastic manufacturer based in Minnesota, has introduces Ingeo 3D450, a new break-away PLA material for use in dual extrusion 3D printers. It is designed to support structures for parts enabling a high finish quality, while reducing post-processing time. Ingeo 3D450 3D printed parts. Photo via NatureWorks. For the latest additive manufacturing news, subscribe to the 3D Printing Industry newsletter, follow us on Twitter and like us on Facebook. Featured image shows the Sliced logo over a micro-honeycomb structure in PP, with wall thicknesses of ~20 microns over a height of a few mm. The part is made for a company that specializes in micro batteries. Photo via Nanofabrica.